Summer has officially arrived, and the lineup of women-centered community events in the Bay Area is stacked. Join us at the Oakland Museum of California this Saturday, June 9th from 2pm to 4pm for a live chat with Washington DC-based music journalist and editor Danyel Smith. 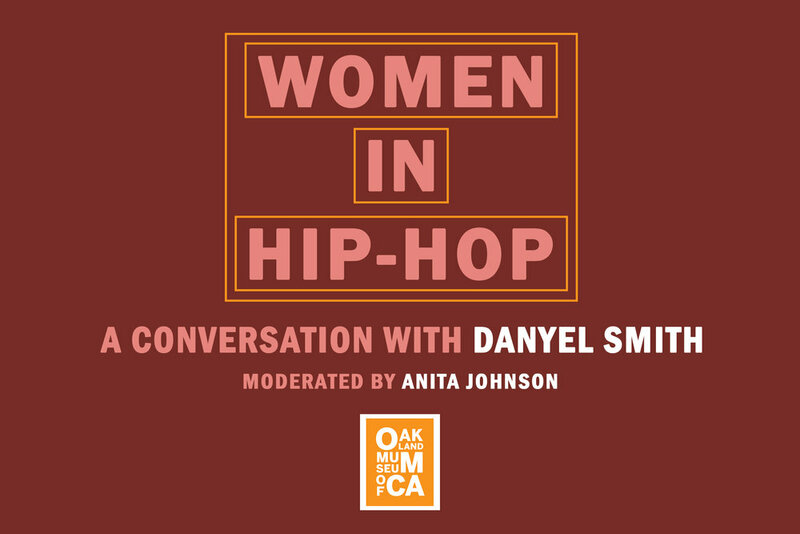 In honor of women in hip-hop and in conjunction with OMCA's special exhibition, RESPECT: Hip-Hop Style & Wisdom, Oakland native Danyel Smith will be sitting down with moderator Anita Johnson to discuss her extensive experience working in the music industry as a media creative, television producer, and author. What's more, Women in Music Fest veteran DJ Lady Ryan will be spinning the decks to kick off the event. Your ticket will include admission to all galleries at the museum, so invite a friend and secure your tix... you don't want to miss this. Born and raised in Oakland, Danyel currently holds a chair as Culture Lead/Senior Editor at ESPN’s The Undefeated. Danyel has dedicated much of her career to covering hip-hop and R&B culture and music. A former John S. Knight Journalism Fellow at Stanford University, she's served as R&B editor of Billboard, editor at large at Time Inc, and as editor in chief of VIBE during the early 90s. Danyel has published two novels, as well as a series of articles for ESPN The Magazine, The Guardian, NPR, CNN, Rolling Stone, and The New York Times. Danyel currently splits her time between New York City and Washington DC. Keep up with Danyel on Twitter at @danamo. Anita Johnson is a co-founder of KPFA's Hard Knock Radio, a public affairs program covering news, views and Hip-Hop. In 2009, with the assistance of The Association of Independents in Radio, she founded Beyond The Odds, a multimedia arts project created to illuminate the impact of HIV and AIDS on low-income and minority young adults. In 2010, she co-produced the documentary film CoInTelPro 101. Aside from her many journalistic achievements, she's also a well respected Hip-Hop MC who's performed alongside Verve recording artist Ledisi and the legendary singer/guitarist Carlos Santana.